We're a little family of two, and although I do use ginger quite a bit because a lot of what I make is Indian (or at least Indian inspired), there's no way we could use all of this before it went bad! 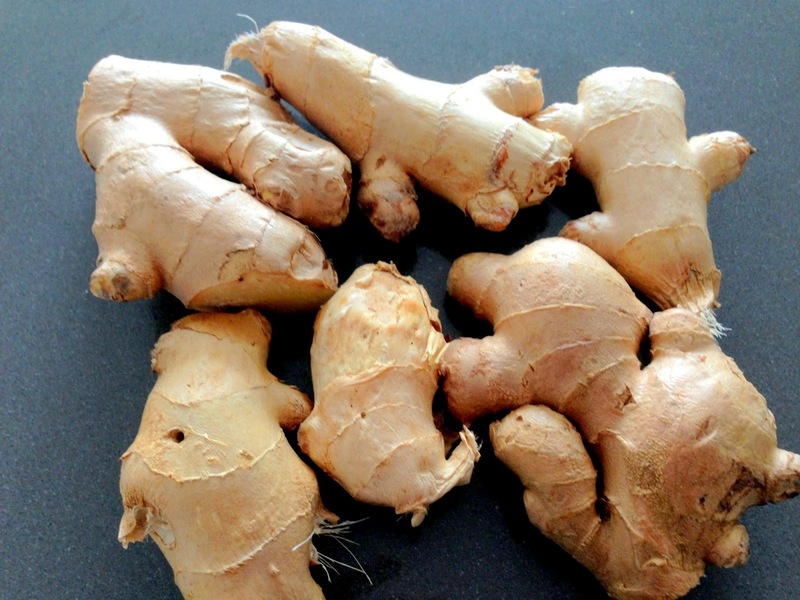 Don't ask me how we ended up with so much ginger root. Probably something to do with the fact that it's pretty small in the grand scheme of refrigeration and easily hidden behind other veggies and goods. In any case, there it was, calling out to me. Perhaps a ginger stir fry? Definitely ginger tea. Gingerbread cookies? But no molasses! Anyway, no way was I going to let all that delicious zinginess go to waste. My grandmas always make their own ginger-garlic paste and store it, so in a quest to follow in their food footsteps, I thought I'd do the same. But grating the whole thing and freezing it would just result in me having a block of grated ginger any time I wanted to use just a dash. And so, enter TheKitchn, my guide to all kinds of kitchen hacks. I followed their ginger freezing technique and voila! 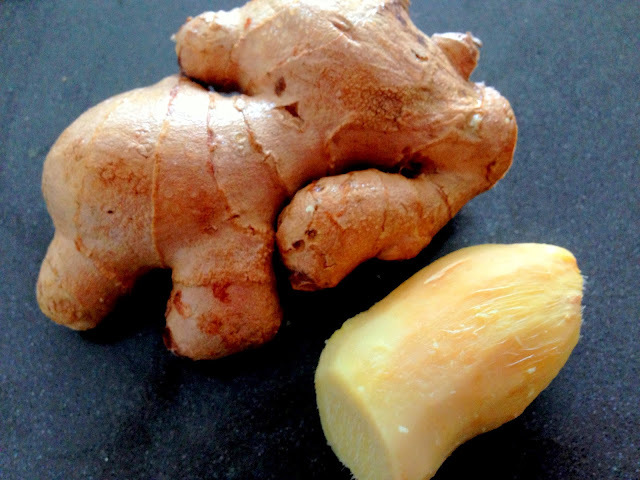 I have cute little 1 tsps of ginger ready to be plopped into my next pot of curry or my next gingery stir fry! First you need to peel the ginger and grate it (ouf it doesn't look like all that much, but grating 12-14 oz of ginger will give your arm a workout!). Line a cookie sheet with parchment paper, then measure out 1 tsp dollops of grated ginger. 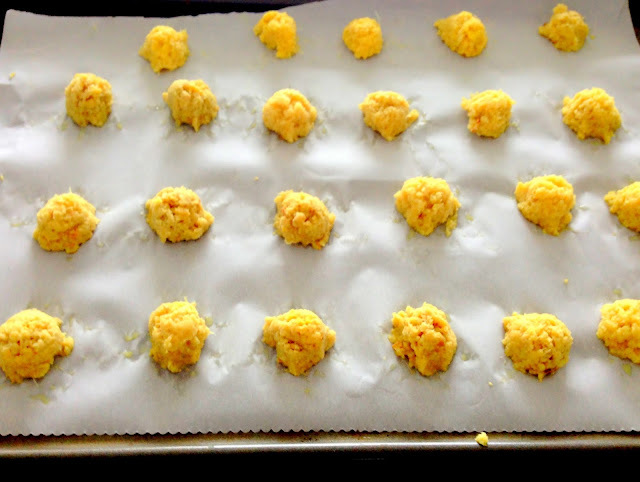 Pop the cookie sheet into the freezer for 20 minutes (just until the ginger scoops set), then put them into a ziplock bag and leave 'em in the freezer until you're ready to use them! And what to do with the little knobbly bits that are left over? Watch out for that in another post! Ginger is much easier to grate if it's been frozen. I keep my ginger in the freezer all the time!